Five people who died in weekend crashes in Maine were not wearing seat belts. Six people died in car crashes over the past weekend. Five of them were not wearing seat belts. Let that sink in. Five people, who chose not to wear seat belts, died in Maine car crashes between Friday and Sunday. This is a sad and unnecessary statistic. It sounds trite, but seat belts save lives. Seat belt use in Maine has risen since lawmakers strengthened the state’s restraint law in 2007. That year, lawmakers passed legislation making failure to use a seat belt a primary offense. This means law enforcement officials can stop and ticket a driver for not wearing a seat belt or if his passengers are not wearing them. Previously, a driver could only be penalized for not using seat belts if he was stopped for another offense. In 2007, 79.8 percent of vehicle occupants used seat belts in Maine, according to data collected by the National Highway Traffic Safety Administration. In 2014, the most current year for which the administration has data, seat belt use had risen to 85 percent. This remains below the nationwide average of 87 percent. In 2011, lawmakers narrowly rejected legislation to return Maine to a primary enforcement law. 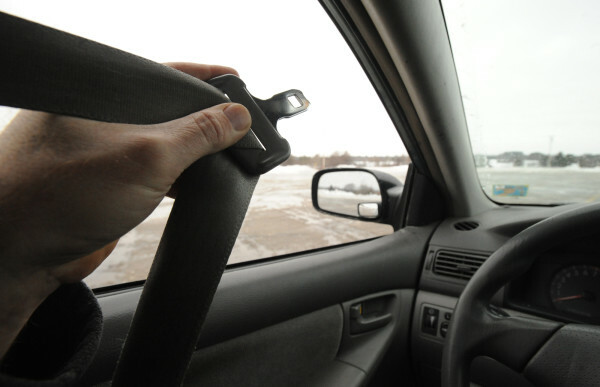 Last year, a bill to repeal Maine’s seat belt law gained no traction in the Legislature. These were smart decisions. The Maine Bureau of Highway Safety estimates the primary enforcement law will save 10 lives and avoid 155 serious injuries per year. This will save the state’s taxpayers about $33 million in medical expenses, property damage, lost productivity and related costs. The bureau’s data show that fatalities among unrestrained passengers increased from 64 in 2005 to 76 in 2012, the last year the bureau posted data. Fewer people, 45, died in alcohol-related crashes in 2012 and only slightly more, 78, died in crashes that were attributed to speed. Although unrestrained vehicle occupants account for just 13 percent of the total nationwide, they accounted for nearly half — 45 percent — of deaths in 2014. Younger people, especially those ages 13 to 15 and 25 to 34, were the most likely to be unbuckled and more likely to die, according to National Highway Traffic Safety Administration data. One of the biggest benefits of seat belts is that they prevent people from being ejected from vehicles when a crash occurs. Three of the people killed in Maine crashes in recent days were ejected. A couple from Millinocket died when they were thrown from a pickup after it left the Golden Road and went down a steep embankment early Saturday morning. Speed and alcohol also are considered factors in the crash, Maine State Police said. On Saturday night, a 31-year-old man died in Alfred after being ejected from his vehicle after he crashed it into a ditch and it overturned. People not wearing a seat belt are 30 times more likely to be ejected from a vehicle during a crash, according to the U.S. Centers for Disease Control and Prevention. Eighty percent of people ejected from a vehicle die from their injuries. An analysis of 1,864 motor vehicle trauma patients at Eastern Maine Medical Center between 2004 and 2014 found that unbelted motorists are twice as likely to become “major trauma” patients than their belted counterparts because they are more badly injured. As a result, the hospital bills for acute care of unbelted patients were 12 percent higher than for those wearing seat belts. A previous study found that unbelted crash victims were nearly twice as likely to be uninsured or covered by Medicaid than those who wear seat belts. That translates into higher medical and insurance costs for everyone. The solution is simple. When you get in your vehicle, buckle up and make sure all your passengers do, too. It could save your life.